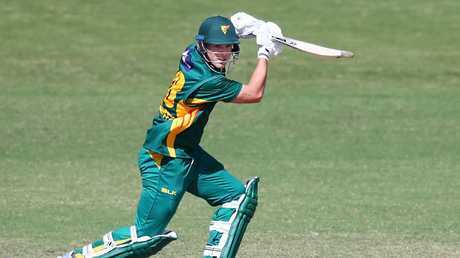 RISING Aussie Twenty20 gun Ben McDermott is looking to end his run of outs. McDermott will get a chance to present his case for a spot in Australia's T20 clash with South Africa on Saturday when he captains the Cricket Australia XI in Brisbane on Wednesday. The stepson of former Test quick Craig McDermott will lead the CA XI against South Africa at Allan Border Field. 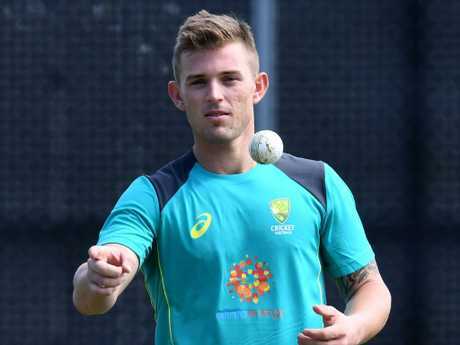 McDermott, 23, made his international debut for Australia in last month's tour of the UAE where he made four T20 appearances. But he was run out in all three matches against Pakistan, once for a duck, and managed a top score of 21. A big-hitting batsman, McDermott is highly-rated among his peers in Tasmania and wants to prove he has a future in the international arena. He just has to make sure he doesn't give his wicket away cheaply. "Not to get run out, for starters," McDermott said when asked what he had learnt in the UAE. "Reflecting on those three run outs, I was batting in the middle order and wanting to get off strike. There was a little bit of pressure. "It was a great experience playing four games over there. I took a lot out of it, batting in different positions. "I'm very confident with the way my game's going in the T20 format in Australia. "I've had some good performances in the Big Bash and hopefully can take them into international cricket if I get the opportunity." 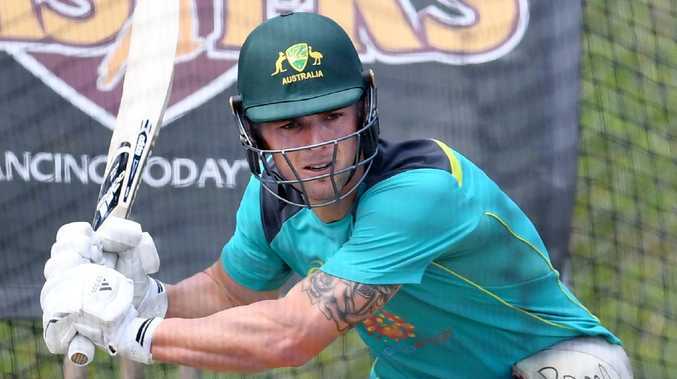 McDermott came through the grades on the Gold Coast before making his Big Bash debut for the Brisbane Heat and playing first-class cricket for Queensland. He jumped on an opportunity to link with Tasmania and the Hobart Hurricanes and hasn't looked back since, being crowned the JLT Cup's player of the tournament this summer after scoring 427 runs at 71.16, including two centuries. Ben McDermott started the season in emphatic fashion, and was only outscored by Lynn in the One-Day Cup. Metricon Stadium on the Gold Coast will host international cricket for first time on Saturday and McDermott is hoping to retain his spot in the Australian side despite his poor results overseas. "It's always good to play in an international team," he said. 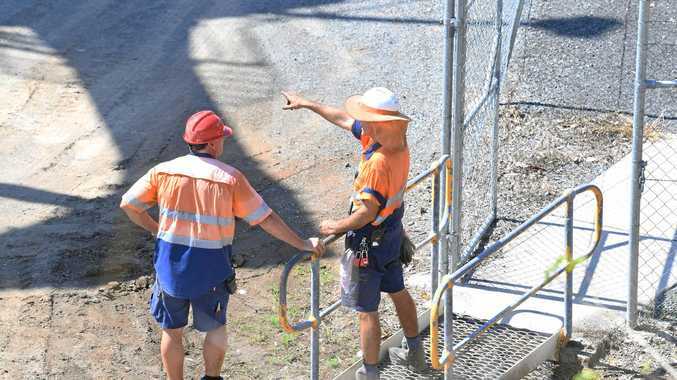 "It's a bit of a weird one at Metricon Stadium, I thought it was just a footy ground. "It's exciting to be back in my home city. I love the Gold Coast. I grew up there and played cricket for The Southport School and the Dolphins. "It's going to be good to get back there and hopefully get a game." The one-off T20 against South Africa will be followed by a three-match T20 series against India, including a match at The Gabba on Wednesday week.